With polls showing many right-wing and religious parties potentially failing to cross electoral threshold, PM calls for parties to unify. Prime Minister Binyamin Netanyahu has called smaller, right-wing and religious factions to unify to ensure that they pass the electoral threshold this April and maximize the right-wing bloc in the 21st Knesset, giving him the greatest chance of being able to form a viable governing coalition. 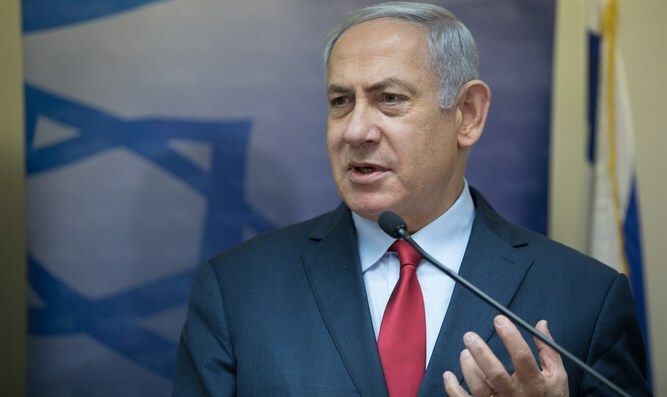 According to a report by Channel 12 Sunday evening, Netanyahu has urged the National Union faction to run jointly with the smaller Otzma Yehudit faction. MK Bezalel Smotrich, who recently wrested control of the National Union faction from Agriculture Minister Uri Ariel, is a member of the Tekuma party, which broke off from the National Religious Party – a forerunner of the Jewish Home – in the 1990s. The National Union – a joint list of smaller right-wing parties – ran with the Jewish Home in 2013 and 2015, after winning four seats in a joint bid with Eretz Yisrael Shelanu in 2009. Eretz Yisrael Shelanu, led by then-MK Michael Ben-Ari, later became the Otzma Yehudit faction, which failed to enter the Knesset in 2015 on a joint ticket with Yahad. Netanyahu has reportedly called on Smotrich to form a joint bloc with Otzma Yehudit and the Jewish Home, to ensure that all three factions pass the 3.25% electoral threshold. Otzma Yehudit, led by former Kach movement activists Michael Ben-Ari, Baruch Marzel, and attorney Itamar Ben-Gvir, has been linked with the ideology of Jewish Defense League founder and former Knesset Member Rabbi Meir Kahane. Rabbi Kahane advocated the expulsion of Arab residents of Israel, and was barred from the Knesset in 1988, after serving one term. The Prime Minister also called on the haredi factions Shas and United Torah Judaism to form a joint religious bloc, to ensure that Shas passes the threshold. Recent polls have shown Shas winning two to seven seats and has averaged about 4.5 mandates in polls released in January – just slightly above the electoral threshold. To enter the Knesset, a party must win 3.25% of the vote – or the equivalent of 3.9 seats. The Jewish Home has also teetered on the edge of the threshold over the past month, ever since party chief Naftali Bennett bolted to form the New Right. Recent polls also show the Otzma Yehudit and Yahad parties drawing between one-to-two percent of the vote, while the libertarian-leaning Zehut faction led by Moshe Feiglin would also draw one-to-two percent. Some polls have even shown former Defense Minister Avigdor Liberman’s Yisrael Beytenu party failing to clear the threshold. Following the report Sunday, Yesh Atid charged that by advocating for a right-wing bloc including Otzma Yehudit, Netanyahu was effectively lobbying on behalf of supporters of Rabbi Meir Kahane.